Purrr…fectly sweet and innocent, this Cheetah is all about friendliness. 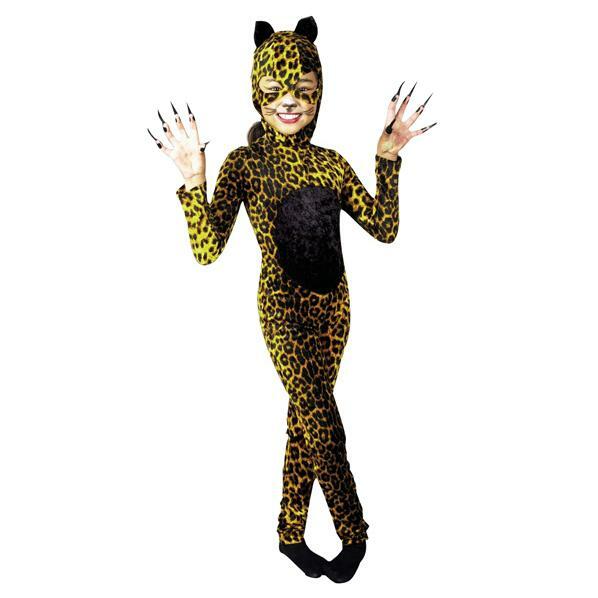 Costume features a one-piece body suit with cheetah print and attached hood wi th face mask with ears. Your child will look like the purrrfect kitty with this great costume and is be a hit at their party. The costume very comfortable and is sure to keep them warm on those cold October nights so you don’t have to worry about them catching a cold. The costume design details are great and the hood keeps the human ears covered and hidden. The costume is priced purrrfectly low to save you money and that is something everyone can enjoy. To add even more terrific costume items to this already awesome costume check out our great selection of costume accessories and make-up. Get your Cheetah costume today your will be glad that you did. This costume is sure to be your childs favorite.